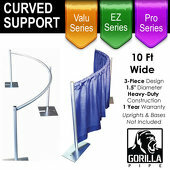 For a wedding, a graduation, or a trade show to be a memorable one, drape supports (cross bars) are key. These are the pieces from where the drape and curtains are hung from. 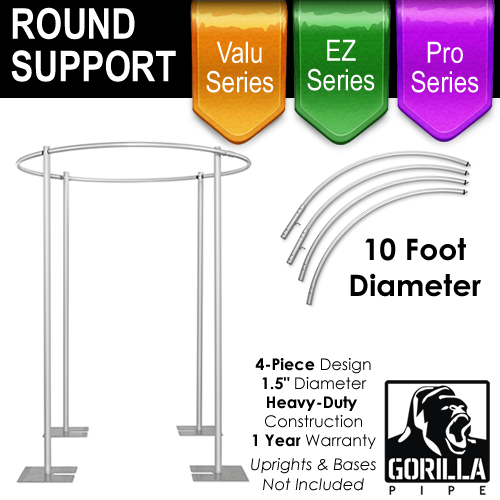 Event Decor Direct features a wide variety of drape supports (cross bars) at warehouse direct prices. That means there's no middle man; you get all the savings! 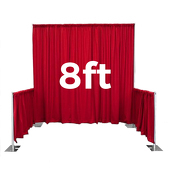 Drape supports (cross bars) are important pieces as they set the length and width of any display. You can also choose the specific upright to connect the drape supports (cross bars) from. At Event Decor Direct we feature classical, Mediterranean style uprights, as well as stainless steel and iron uprights. The uprights work well in conjunction with drape supports (cross bars) and will make any display stand out. 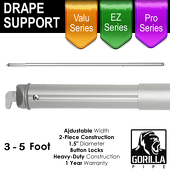 If you're looking to save money as a DIY decorator, or as an event planner, Event Decor Direct has all the drape supports (cross bars) you need as well as other pipe and drape hardware. Some of our customer favorites are the 4-7 foot adjustable support rod as well as the 8-14 foot adjustable drape support; these are perfect for large trade show displays or for showcasing a wedding cake, among many other applications. Our consultants will help you hold a successful event; having the right drape supports (cross bars) will make the difference between a display or booth getting lost in the crowd or becoming the standout among other displays-the display everyone will be talking about. The display which helps create sales for a trade show or a positive impression at a wedding. That's why having the right drape supports (cross bars) is so important. At Event Decor Direct, we make it all happen for you. It's what we're all about: creating lasting customer relationships by proactively assessing the need and then going above and beyond expectations. 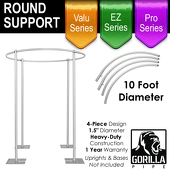 Contact us today for the best service and prices on drape supports (cross bars). 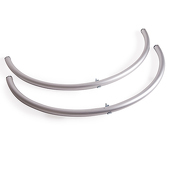 Customers who are interested in Drape Supports (Cross Bars) also purchase Pipe & Drape, Bases & Parts and Accessories.